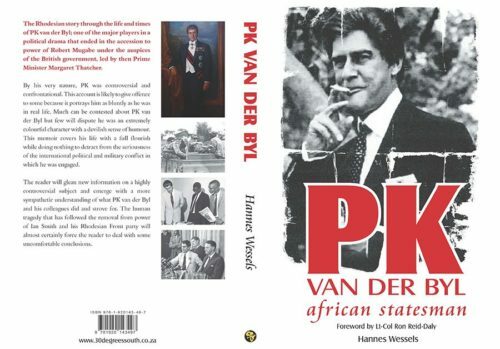 During the Wests great transition into the post-Colonial age, the country of Rhodesia refused to succumb quietly, and throughout the 1980s fought back almost alone against Communist-supported elements that it did not believe would deliver proper governance. During this long war many heroes emerged, but none more skillful and courageous than Captain Darrell Watt of the Rhodesian SAS, who placed himself at the tip of the spear in the deadly battle to resist the forces of the various factions of communism as per different political factions. With the collapse of colonialism and the European retreat from Africa the then colony of Southern Rhodesia refused to follow the political fashion of the time and succumb quietly. They decided to take on the world, believing that an immediate transfer of power would lead to tragedy. War followed and on the killing fields of southern Africa Special Air Service Captain Darrell Watt placed himself at the tip of the spear in the deadly battle to defeat the Sino/Soviet backed forces of Robert Mugabe and Joshua Nkomo. It is difficult to find another soldier’s story to equal his in terms of time spent on the field of battle and challenges faced. Even by the lofty standards of the SAS and Special Forces in general one has to look very hard and far to find anyone who served in any of these regiments who can match his record of resilience, fortitude and valour in the face of such daunting odds and with resources so paltry. In the fight he showed himself to be a military maestro. A bush-lore genius, he had no peers as a combat-tracker. Blessed with uncanny instincts and an unbridled determination to close with the enemy and kill he performed in almost every imaginable fighting role; as an airborne shock-trooper leading camp attacks, long range reconnaissance expert, covert urban operator, sniper and saboteur. In all roles he executed his tasks with extraordinary skill inflicting incalculable damage and heavy casualties on the enemy. After 12 years in the cauldron of war he was at the top of his game leading a rebel army on a rampage that was close to snapping the strategic spine of a hostile country when men in suits in far off places stopped him in his tracks and history changed. A soldier’s soldier he did his duty quietly and confidently and sought no glory. Unfortunately some of his political and military peers did not always follow his example. When the guns went quiet he had won all his battles and lost the war. 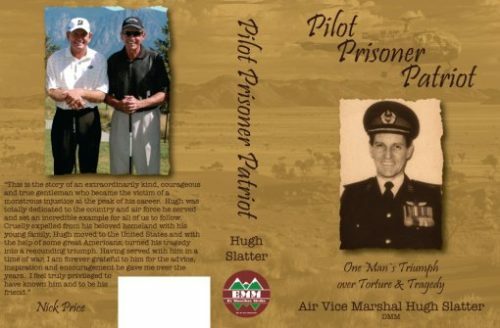 There was no ticker-tape parade for him, no laurels, no medals and no thanks for death daring commitment to a cause. With only one skill to sell he bade his homeland a sad farewell and went off to fight another war. In his twilight years, accompanied by his loyal askaris, he has built schools and clinics for poor rural Africans and devoted himself with equal courage and sense of purpose to wildlife conservation. With elephant being slaughtered in unprecedented numbers he is fighting a lonely battle to save the last herds and the wilderness that is their final refuge. I started writing this book over ten years ago and could probably write a book about writing this book. Suffice to say, if I had known what problems lay ahead I’m not sure I would have done it but it’s been a rocky and the journey is not over however I’m happy to say a measure of success may have been achieved. The original book was too long for the publishers so much of the original material has been excised to be used upon another day maybe. Along the research road I bumped, almost unwittingly, into some rude awakenings as facts emerged that suggested all was not as it seemed in the Rhodesian security forces. I have touched carefully on some of these issues and left answers hanging because I don’t have them but sometimes history reveals itself quickly and this inquiry is a work in progress which I will attend to in another book at another time. 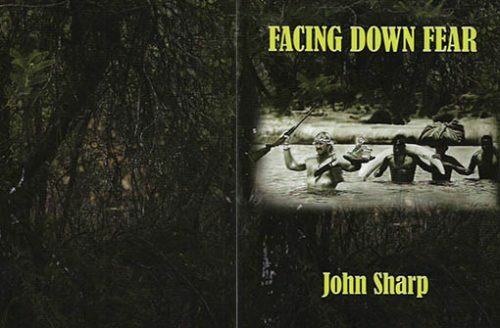 For a long time I wanted to try and tell the story of Rhodesia through the eyes of soldiers. I knew a political history on its own would not get much attention so I decided to try and blend the two. The book is therefore primarily the story of exemplary fighters but I have tried to keep the reader aware of what was happening in the various corridors of power in the capitals of the countries that played a role in this drama. In this sense I have used the protagonists as a platform to tell a bigger story that I hope will both give the reader some enjoyment along with a better understanding of what actually happened off the battlefield. 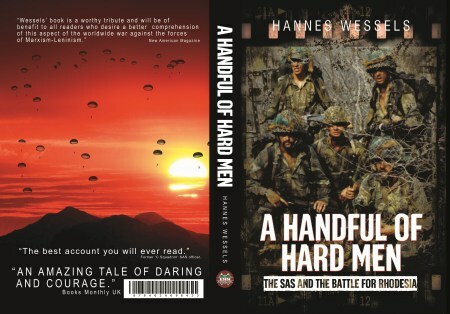 The book focuses on Darrell Watt who must surely rate as one of the great SAS operators since the inception of this regiment in 1941. For 12 years he found himself in the thick of the action and always able to get the better of the foe. It was not easy working with him. A man of extreme humility he was very reluctant to talk about himself initially and because he had done so much and seen so much his memory was often hazy which meant I had to do considerable research from other sources to clarify his recollections. In some cases events he could barely recall turned out to have been life-changing experiences for some of the men he led and invariably the seed of a story blossomed forth into an extraordinary event. In the course of researching this book I did not find one man who had been to war with Darrell who did not hold him in awe. On the field of fire he was obviously a hard act to follow but some of the other operators reported on in this narrative were also exceptional and deserving of a place in history alongside great soldiers. It was a pleasure and a privilege to have the opportunity to work with them on this. In writing this I tried to build a platform for the men and then let the men themselves talk the reader through what followed. This, I hope will give the book the authenticity and sense of reality that it deserves. At times collective memories were sketchy so some mistakes may have been made and I apologise but the war ended 35 years ago. We did the best we could and all the main protagonists have read this and agreed what is written here with regard to them is as they remember it. While some insist the politics of the time should not be included in a book of this nature I felt differently. This was a very political war and it was political decisions that nearly always trumped the soldiers’ efforts. To this end I tried to explain to the reader how hard a soldier’s lot can be when he risks all only to be snookered by men in suits in sometimes faraway places. As the reader will learn the political arena was also a dangerous and treacherous place and looking back I don’t believe many of those political players could possibly be proud of what they made happen. Rhodesia was an extraordinary country and it produced extraordinary people that gave it unusual strength and the capacity to punch above its weight in a variety of ways. 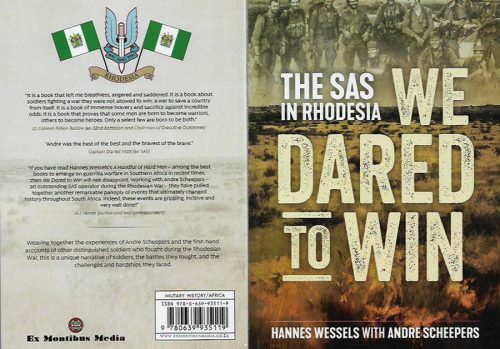 As a keen reader of military history I feel confident in saying the men of the Rhodesian SAS took the ethos of the country to the highest level and performed their daunting tasks with courage, fortitude and daring that places them up with the best of the best in that rarefied space occupied by elite soldiers. I can only hope I have done justice to some great men who fought so hard for a great little country that is no more.